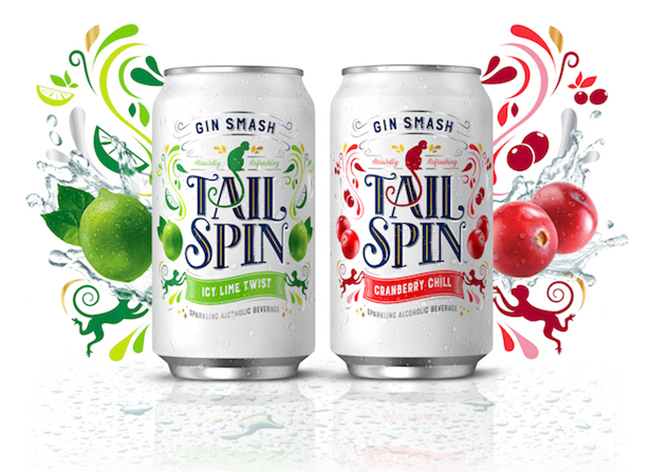 With the increasing popularity of gin among millennials, a ready-to-drink gin was developed by Labatt Food Service, but needed a compelling brand name, look and personality that would appeal to a new generation of consumers. Chase Design Group started by exploring a name for the brand that would be approachable, fun, and playful. They hit on “Tailspin” paired with a cheeky monkey as a secondary icon for the brand. 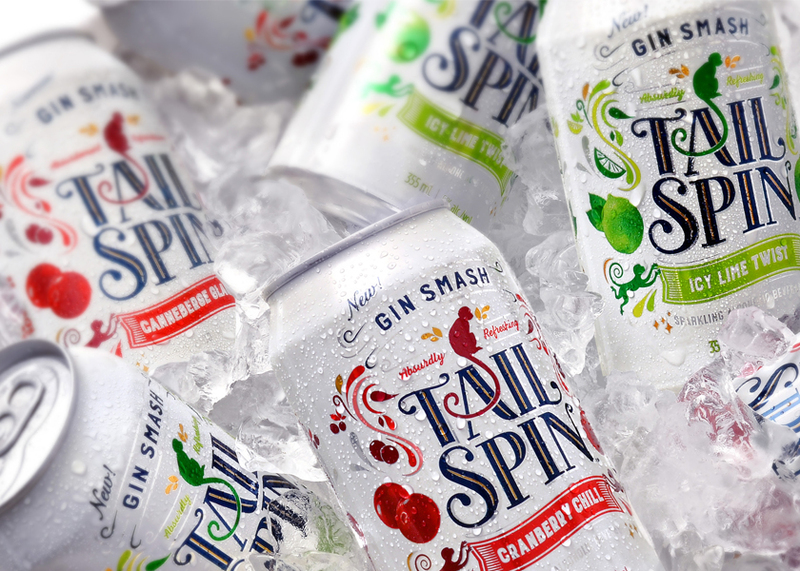 “We wanted to convey a look of flavorful refreshment mixed with a feeling of heritage inspired by the elegant craft and attention to detail that goes into the creation of a fine gin and it’s label,” says Senior Art Director Dave Carlino. The hand-drawn logo is surrounded by a juicy burst of flavorful filigree and splashes, while the monkey’s spinning tail completes the “A” crossbar while mischievous friends carry the flavor banner. To complete the look, fruit photography is paired with filigree illustrations. Two flavors, Ice Lime Twist and Cranberry Chill, are currently being rolled out in Canada.